With more than 40 years of service to the Congregational Christian Church of Samoa in Lalomalava Savai’i, Rev. Elder Solomona Tuatagaloa and his wife Annedy, are calling it a day. During the women’s conference this week, Annedy bid farewell and revealed what many did not know about her. 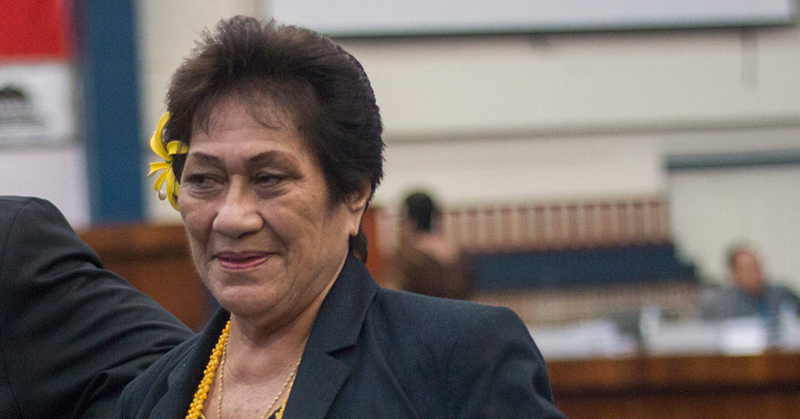 “Many of people in here don’t really know where I come from, until today,” said Mrs. Solomona. The 62-year-old was in tears as she said her last speech before the Women’s conference. She thanked the Women’s fellowship at Lalomalava for their support over the years. She said with the struggles she faced with the language, it was the grace of God that got her through. Mrs. Solomona is originally from Marshall Islands. She is the youngest daughter of John Victor and Toknam Milne of Marshall Islands. “I had a different dream, I wanted to travel to America and become a business woman and take care of my parents but God had different plans for me,” she said. It was in her country where Mrs. Solomona met her husband, Rev Elder Solomona Tuatagaloa. who was serving in the Marshall Islands as a Missionary. They got married in 1973. “A Samoan missionary brought me to Samoa to continue the work of God,” she said with a smile. Despite the different cultures and the hardship she faced with the language, Mrs. Solomona said God is faithful. Mrs. Solomona said they lived in Vailoa in American Samoa and the late Prime Minister Tofilau Eti Alesana approached them in American Samoa and brought them here to serve at Lalomalava in July 1975. Mrs. Solomona said she told her husband that she can’t do the work because she doesn’t know the language and she knew nothing about the Samoan culture. But that didn’t stop him from answering God’s calling. “From there I realized that nothing is impossible to God,” she said. She said from the beginning she was not comfortable. “When people come to our house I hide myself because I don’t know what to say. Rev. 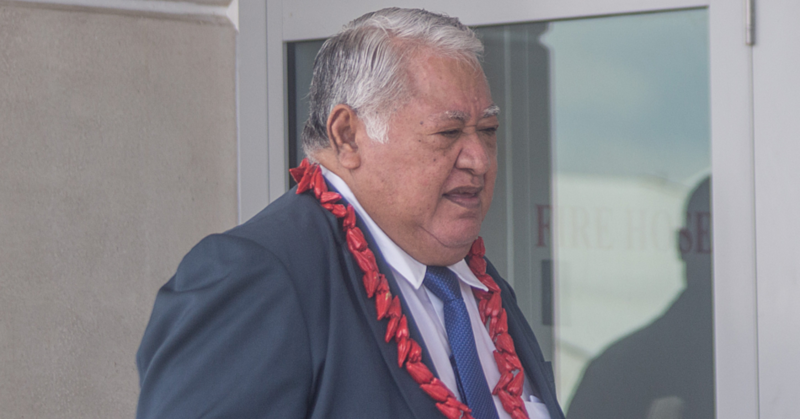 Elder Solomona and his wife are among the four Church Ministers who have served the Lalomalava church. Looking back, Mrs. Solomona said their journey started off roughly because the village was not really developed at the time. 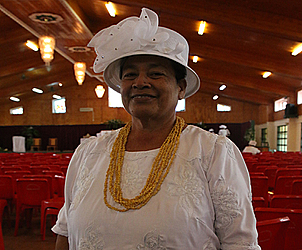 With many years of service in Lalomalava, Mrs. Solomona has come to know the place as home. “I will never forget Lalomalava with all the years I served them, the support from the women’s fellowship to the congregation and the village. Asked how she feels that she is now retiring, Mrs. Solomona said she is sad but she is also relieved at the same time. She said she is looking forward to a life time of sharing the lessons she has learnt in Samoa - especially from Lalomalava.